It’s easy to trip-up in your wedding planning. 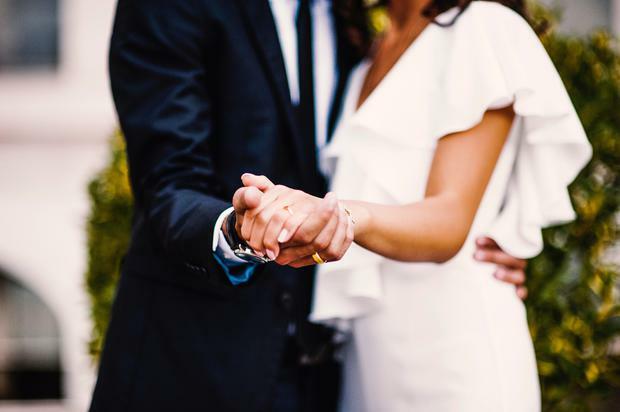 Before you go splashing that cash take a look at what the team at The Vow Magazine have found to be the most common mistakes couples make before walking down the aisle. Favours look smart, seem thoughtful and can be a nice way to tie together a theme or colour scheme, but they can be expensive! Many couples put huge effort into sourcing something unique and significant, but the reality is that only a handful of guests will really appreciate your efforts. Instead of wasting money, why not leave a handwritten welcome note in everyone’s bedroom, telling guests how thrilled you both are that they’re sharing your big day? It’s a more affordable gesture that’s likely to have more resonance than colour-coordinated bonbons. DIY décor is still in vogue and while it looks like a fun way to personalise your reception you’d be amazed at how quickly those craft supplies can add up. Set a budget and do your research before you end up with boxes of random spools of ribbon and no plan on how you’ll be using them. 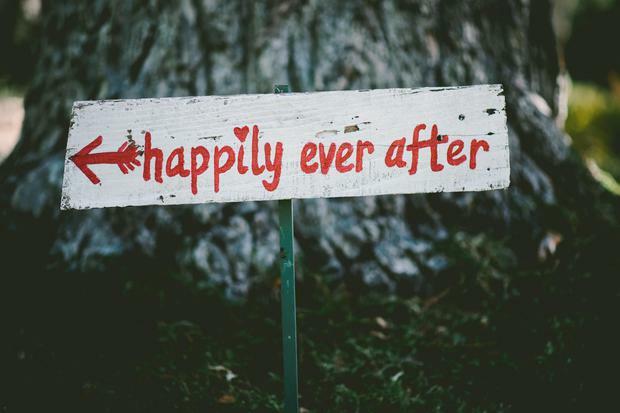 It may seem like an expensive add-on, but the biggest regret we hear at Irish Brides is couples lamenting the lack of footage of their big day. Speeches, often the wedding’s highlight, are a key reason, as the sentiments get forgotten as time passes. It’s sad but true to say that as loved ones pass on, the footage can be taken out to remember everyone together in happier times. This isn’t just Saturday night make-up. Or being a guest at a wedding make-up. This is your big day, with you the star of the show. You’ll be looked at more than ever, photographed more than ever and want to look a million dollars. Let a pro loose with professional brands that will enhance your natural beauty and stay in place late into the night. Unless you have a buddy who’s a make-up artist, leave this one to the professionals only. Choosing your bridesmaids can very quickly become a political hot potato, something you don’t want to happen. Sisters make the best, no-questions-asked choice, but if you want to ask friends don’t be tempted to have more than three. Anything bigger and you’re looking at too many diverse opinions, conflicting ideas for what they will want to wear, not to mention the expense of four-plus dresses. You may not spend nights pouring over your wedding album in years to come, but you will want to enjoy your shots after the honeymoon, share the best with family and frame a few. Nothing is more upsetting than being handed sub-standard prints, or a collection of images that don’t include your family, are too dark or haven’t used your venue’s best angles. Save money elsewhere. Remember all those weddings where you were almost gnawing off your hand by dinnertime? Remember how you forgot to eat lunch earlier as you were too busy styling your hair? Consider this when planning and expect many of your guests to rock up at the drinks reception with empty stomachs. You don’t want to ruin dinner appetites but a few biscuits or three canapés a head will not sate anyone. Be generous and serve plates of welcome sandwiches to tide over any hungry revellers. They will be graciously devoured! If you’re struggling with the budget don’t even think of skimping on the menus. Few people remember what they ate at a wedding, but everyone remembers a bad meal. Pay for the very best menu you can afford. It’s not just a matter of getting everyone fed: this is a celebratory feast that you want people to savour and enjoy. You want everyone to enjoy the speeches, so make sure they’re well fed beforehand. That might mean fitting them in between the courses, or host them after everyone has eaten, but don’t consider kick-starting dinner by keeping hungry guests waiting for their food. House wine is usually fine, but the cheapest one isn’t likely to be the best one. If you can allocate another few euro per bottle you’re likely to get a superior drink. As with the food, try to invest in your feast with the best quality you can afford. Ever been to a wedding with an awful DJ who has the floor empty all night? We have, and it’s pretty embarrassing for everyone. While you could just set up a play list on an iPod a good DJ will read the crowd, keep the tempo right and play tunes you and your crew will love. Get recommendations, take note of any weddings you attended where the music’s been great and don’t dare book a DJ without reviewing sample track lists first. Cake may seem like a needless expense, but it’s a beautiful centrepiece and cutting it together is always fun. Choose different flavoured layers so that everyone in the room gets to enjoy something they love. Don’t cut it too early either. It will go to waste if people are still full from dinner. In the old days newlyweds had a wedding breakfast before dashing off on honeymoon leaving their guests partying in their absence! Thankfully that idea’s bitten the dust, but many of us are still rushing off on honeymoon the next day. Rather than miss the fun (many guests will want to hang round after, especially those who’ve travelled overseas) so push out your honeymoon by at least three days. This will allow you time to chill-out post-wedding, one of the nicest times in your lives. If your reception is in a remote location make sure you’ve got transport covered for your guests. The last thing you want are guests feeling stranded and stressed out. It will quickly undo the glow of their day out. Lay on after-hours mini buses from your venue and alert local taxi companies that there will be heavy demand that night. There’s nothing worse than starting married life in debt. When the bank bills come in post-honeymoon it will soon take the rosy sheen off your once wonderful wedding day memories. Married life will be full of challenges, so don’t start off with maxed out credit cards or financial strains that you’ll soon come to regret. 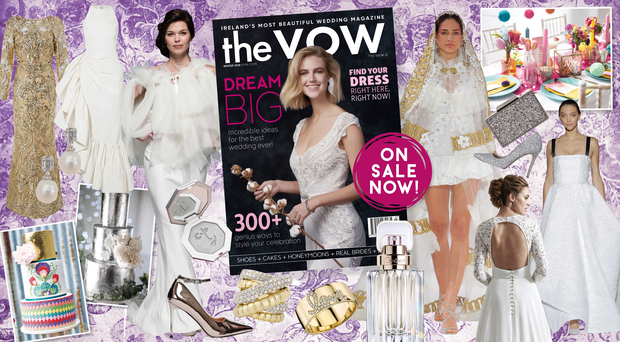 "The beautiful new issue of The Vow has landed! With over 100 dresses, amazing shoes and jewellery, and bridal hair tips we've got you covered from top-to-toe. Inside you'll also find sensational ways to style your reception too, from show-stopping cakes to amazing decor and flowers. You only need one wedding magazine. Pick up The Vow today and get planning."